The next time you’re out walking in nature and surrounded by sedges with damp feet, take a look around. You might find yourself in a fen, one of Michigan’s most diverse habitats. Prairie fens are nutrient-rich wetlands that use groundwater to support a wide range of plants and animals. 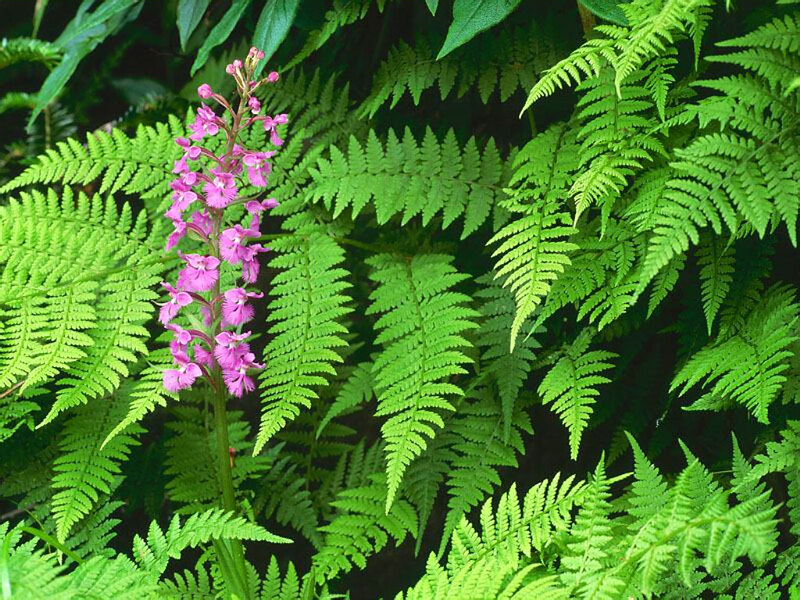 Globally scarce, they are home to species including Eastern massasauga rattlesnake and pink and white lady slipper. 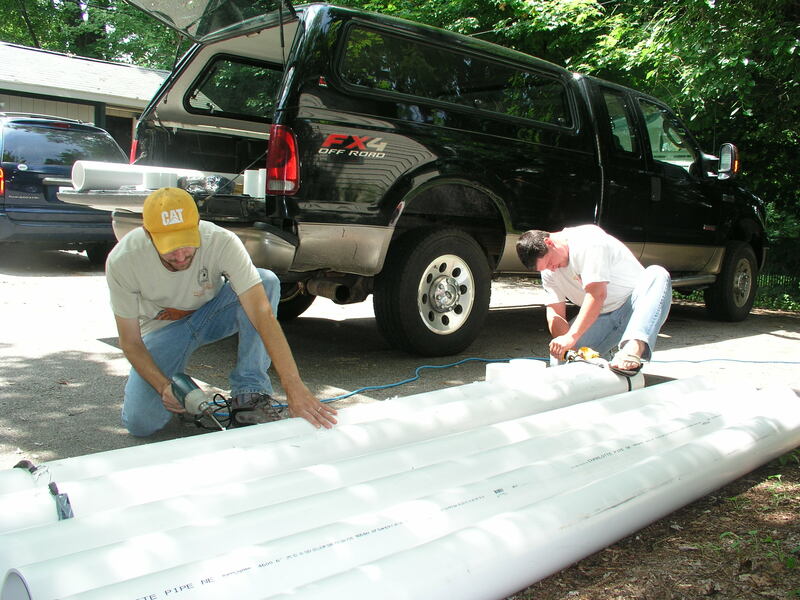 Fens also improve water quality and reduce the risk of flooding. Fens are fragile, though, and need to be recognized and protected in order to thrive. MNA protects and manages a number of fens in Michigan, including the Bullard Lake Fen Plant Preserve in Livingston County and the Robert T. Brown Nature Sanctuary in Houghton County. It can take 10,000 years for a fen to form naturally, so it’s important to do what we can to conserve the fens we have. Soil – Peat and marl are common soil types in fens. Peat, made of decaying plant matter, is spongy and bounces when you walk on it. Marl is a gray-colored and clayish soil. Water Source – Unlike bogs and swamps, which are rainwater-fed, fens receive water from seeps and springs. Seeps and springs are sources of ground water that have reached the surface. It’s easier to spot both in winter because steady temperatures means they’re unlikely to freeze. Water Level – The water level in a fen remains fairly constant. Even after a heavy rain, it won’t show significant standing water like a swamp. This is because fens draw water from the ground, not precipitation. 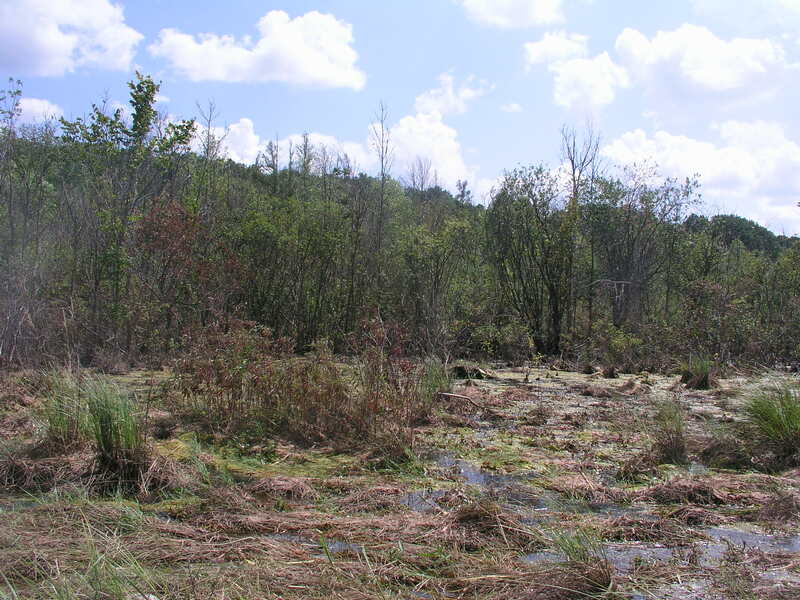 Hummocks – Fens are rife with hummocks, small mounds of sedges that haven’t decomposed because of the water. Hummocks are a great place for a variety of plants to grow, and dot the face of any healthy fen. For more information on prairie fens in Michigan, how to spot them and restoration tips for landowners, visit MSU’s Prairie Fen Companion website. 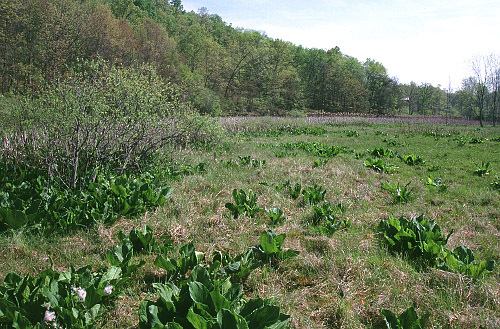 To learn more about MNA’s fens and efforts to conserve them, visit our website. To join MNA staff in managing fens with prescribed burns, contact regional stewardship organizer Matt Schultz for more information at mschultz@michigannature.org. At MNA, our Mission is to protect special natural areas and the rare species that live there. The goals of our blog are to cover the latest environmental issues affecting these areas and provide information about the efforts of our volunteers. Our weekly “ENDANGERED!” column serves to inform you about the endangered plant and animal species found in and around these special natural areas, and how you can contribute to conservation efforts before it is too late. The first species featured in our “ENDANGERED!” column is the Mitchell’s satyr (pronounced say-ter), one of the world’s rarest butterflies. In Michigan, you may have the chance to spot this species, but without your help that opportunity may soon disappear. 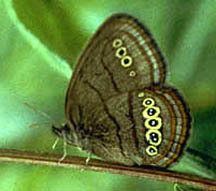 Mitchell’s satyr is a dark, chocolate brown, medium-sized butterfly with a wingspan that ranges from 1.5 to 1.75 inches. It has a three-part segmented body with a head, thorax and abdomen and antennae. On the undersides of the butterfly’s rounded wings is a row of four to five orange-ringed, black circular eyespots with silvery centers. Beyond the eyespot rows on the outer part of the wing are two orange lines. The dorsal, or upper wing, is unmarked and thinly scaled. Males are slightly smaller and darker than females. 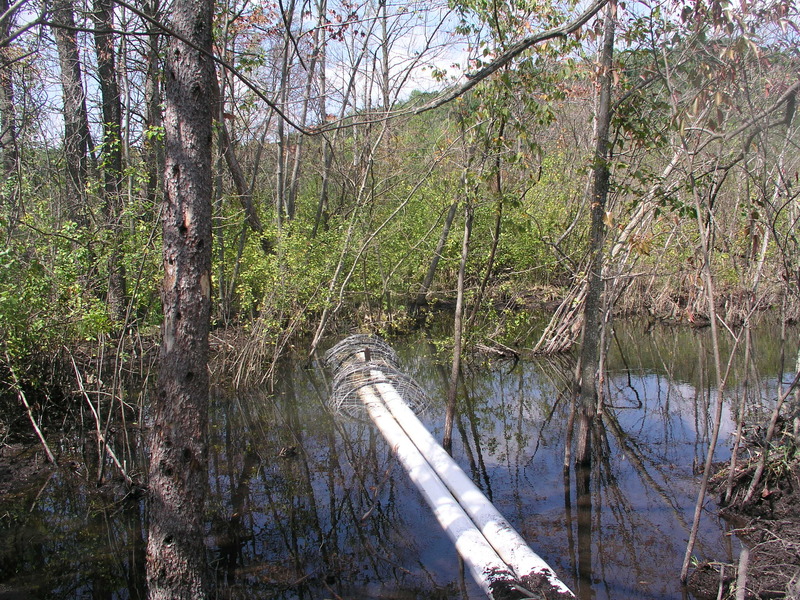 Mitchell’s satyr habitat is restricted to a unique type of wetland called a fen, which is a low-nutrient system that is enabled to support life with carbonate-rich ground water entering the system from seeps and springs. Fens are usually home to sedges, grasses and a wide variety of wildflowers, which makes the fen a magnet for insects including Mitchell’s satyr. 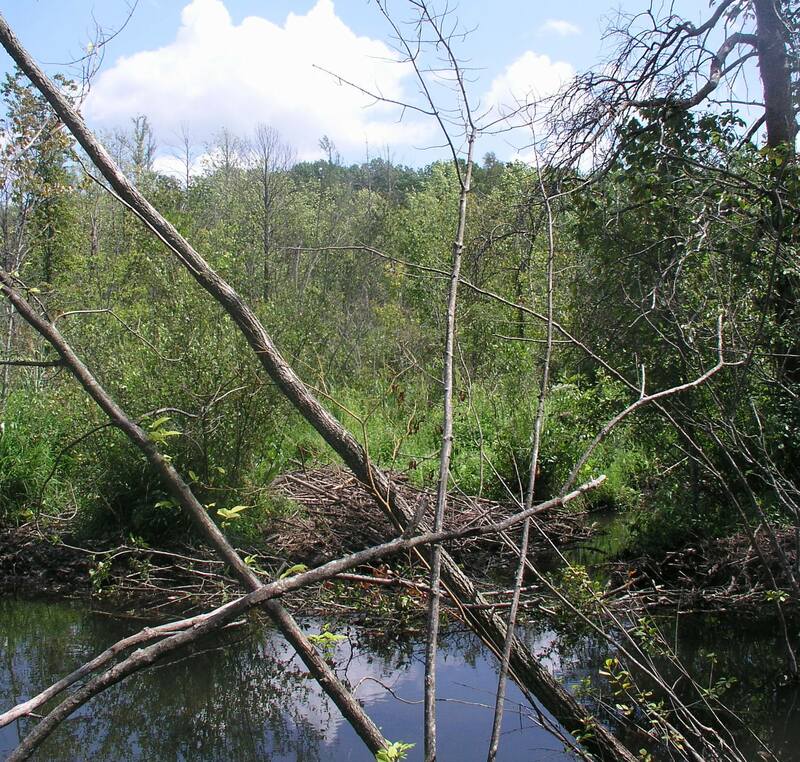 Some MNA sanctuaries, like the Butternut Creek Nature Sanctuary, are carefully managed to remain a fen and provide habitat for rare species such as the Mitchell’s satyr. 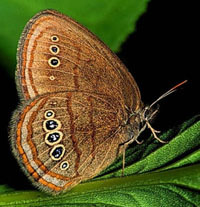 An adult Mitchell’s satyr lives for only a few weeks, but it takes a year for a caterpillar to turn into a mature butterfly. The satyr goes through three life stages. 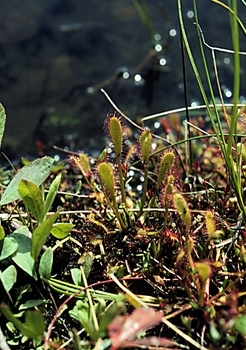 In July, females lay tiny eggs on the young leaves of low, tender plants. The eggs hatch in 7-11 days. The caterpillars, which are very small and difficult to spot, feed on tussock sedge and other fine-leafed sedges. In winter, they hibernate under the snow and emerge in spring to resume eating until they form a chrysalis. The adult butterflies emerge from a cocoon in late June, and males emerge a few days earlier than females. Historically, Mitchell’s satyr inhabited fens across New Jersey, Ohio, Michigan, Indiana and possibly Maryland. Today, the butterfly can only be found in 19 fens in southern Michigan and northern Indiana. The greatest threat to Mitchell’s satyr is habitat loss and degradation. Most fens have been altered or drained completely for urban and agricultural development. Pesticides, fertilizer and nutrient runoff from agriculture contaminate the fen wetlands, as well. In addition, wetland alteration has led to the invasion of exotic weeds, such as glossy buckthorn, which can shade out the satyr’s food plants. It’s also believed that butterfly collectors could have contributed to the population loss of the Mitchell’s satyr. Because there are so few butterflies, the collection of even a few individuals could harm the entire population. The U.S. Fish and Wildlife Service (FWS) added Mitchell’s satyr to the federal list of Endangered and Threatened Wildlife and Plants on June 25, 1991. It is illegal to harm, harass, collect or kill the butterfly without a permit from FWS. FWS also created a recovery plan that describes actions needed to help the butterfly survive and thrive so that it can be taken off the endangered species list in the future. Michigan and Indiana’s natural resource departments and partners have developed a Habitat Conservation Plan that provides a comprehensive framework for managing fens for Mitchell’s satyr. The Michigan Department of Transportation, U.S. 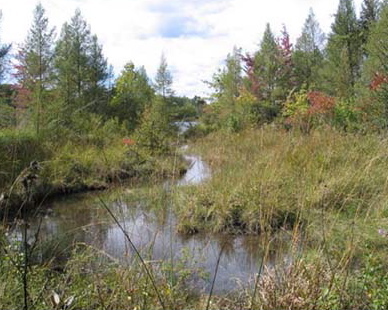 Fish and Wildlife Service, Michigan Department of Natural Resources and Environment, and The Nature Conservancy are jointly preserving and improving two of the butterfly’s habitats of Michigan: the Blue Creek Fen in Berrien County and the Paw Paw Prairie Fen in Van Buren County. MNA protects close to 30 fens, two of which are home to the Mitchell’s satyr. Fens are managed in multiple ways. One way MNA manages fens is by holding prescribed burns. A fen in decent shape requires a prescribed burn every three-to-five years. 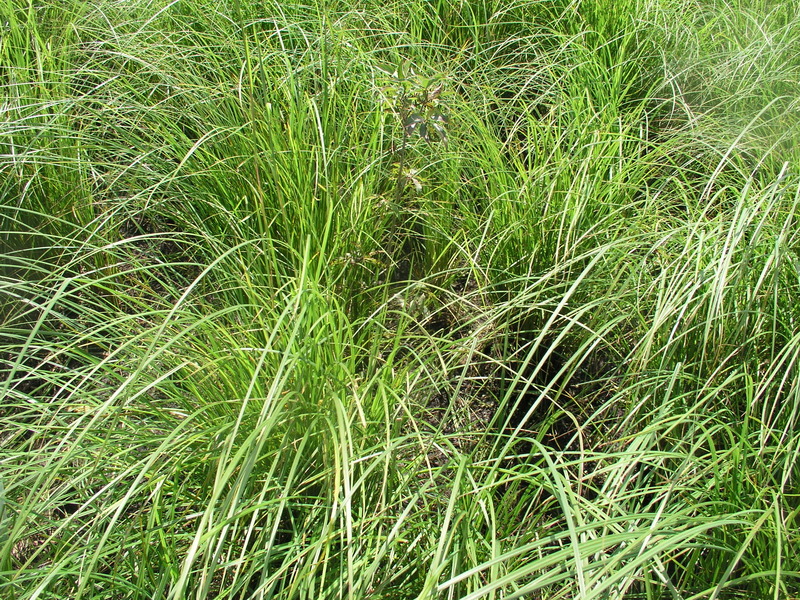 Fens with a larger presence of woody growth or invasive species may require more frequent burns every two-to-four years. 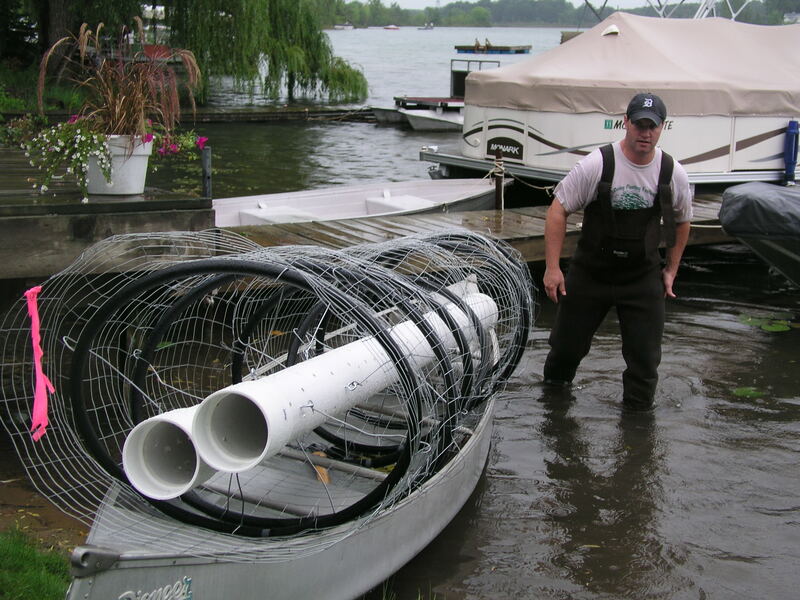 MNA also manually removes invasive species from fens and protects the hydrology of the land by objecting to potential developments in the area. With the help of MNA volunteers, we strive to protect the unique habitat of the Mitchell’s satyr. MNA volunteers are currently working to protect this and other endangered species, and you can help too. Join our efforts as a volunteer removing invasive plants in the special natural areas where this species lives. Or, become a steward and take responsibility for planning efforts to maintain a specific MNA sanctuary. To find out how to get involved, visit our website.